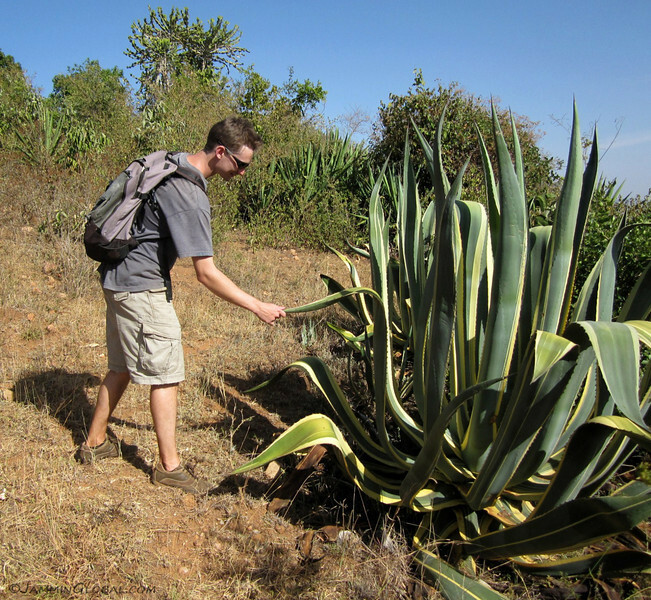 After two months in the field, I returned to Nairobi to complete the report writing and get back to some city life. I celebrated my birthday, went to some yoga classes, did some second-hand clothes shopping and enjoyed cooking for myself again. 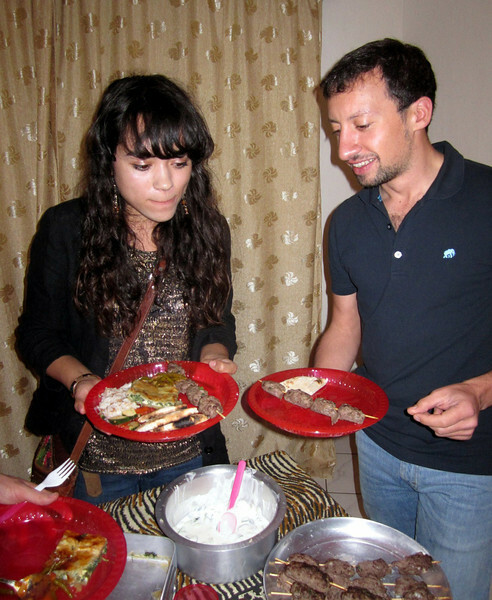 It was good to revive our Food without Borders dinners and picnics. For Easter, a bunch of us went down to Watamu, a second visit for me, but being such a beautiful place warranted a repeat visit. 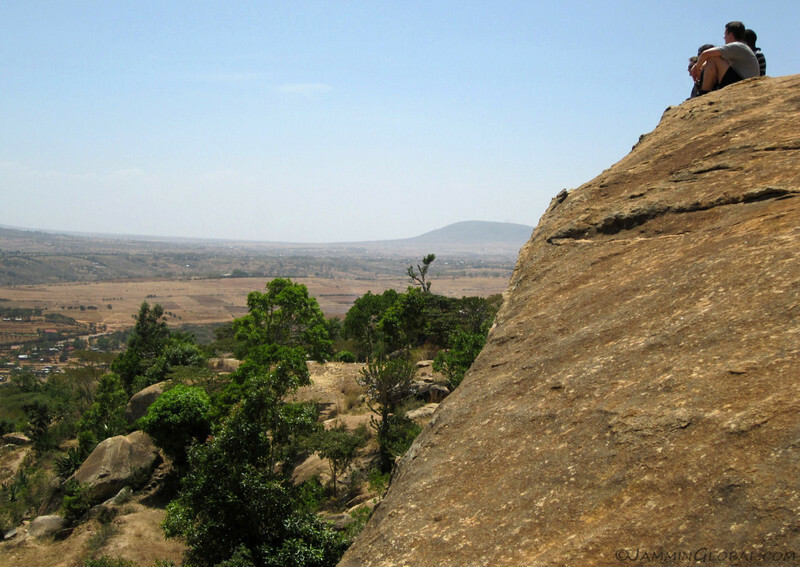 At the end of my fieldwork, some friends from Nairobi come down to Machakos for the weekend and we went on a hike up the Kiima Kimwe volcano. Scott was super excited to see some livestock. 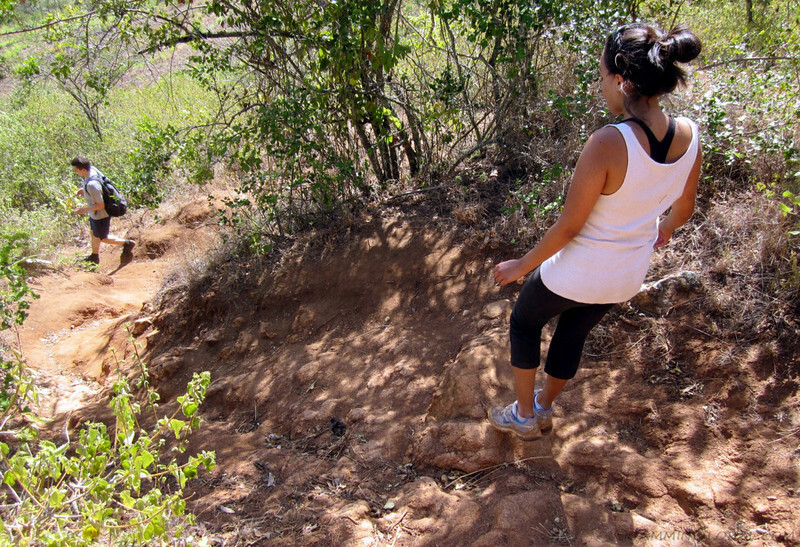 Taking a break on this huge outcrop about halfway up. The land around is pretty flat, except for a few dormant volcanoes. 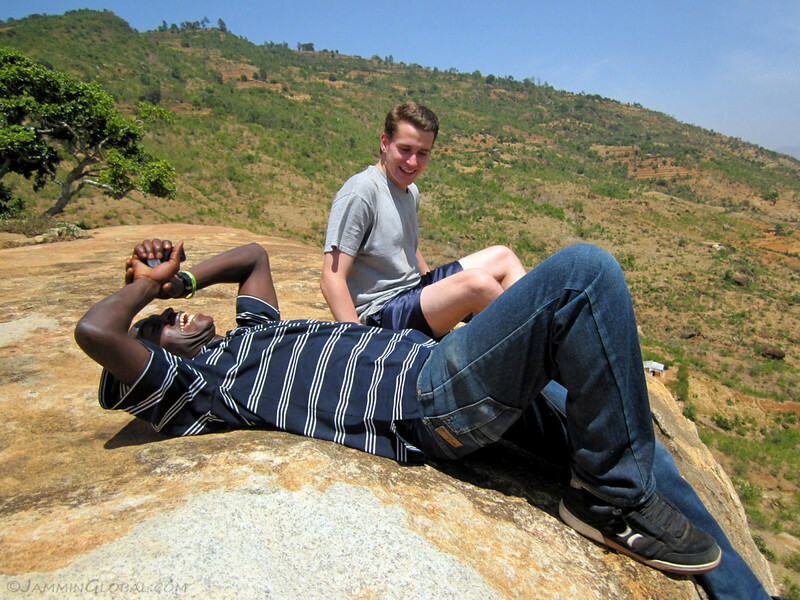 Chris, my enumerator from the field team, feeling a bit nervous sitting on the edge. He came along for the hike since he’s lived in its shadow his whole life but had never hiked it. He was also useful when asking for directions from farmers on how to go to the top. Towards the summit it got pretty steep and wild. 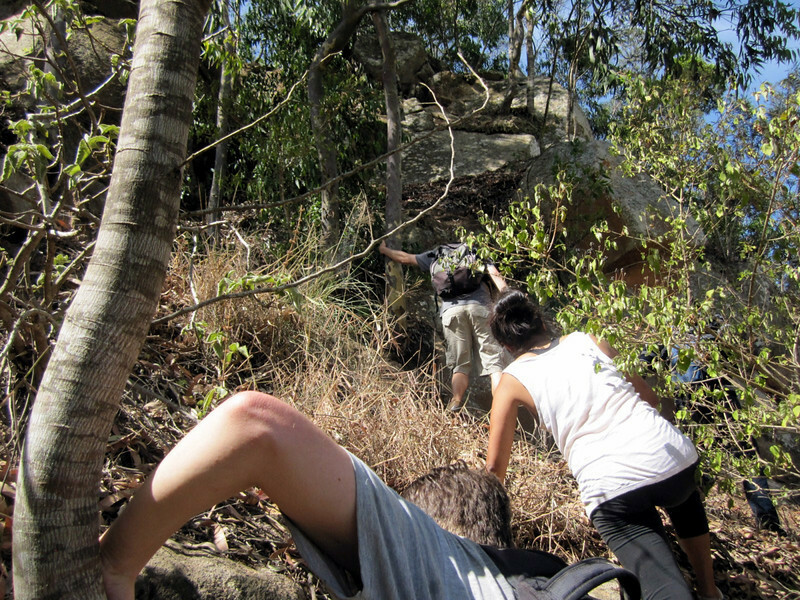 We had to bush-whack through. But the view was great. Flat all around and we could see for miles. 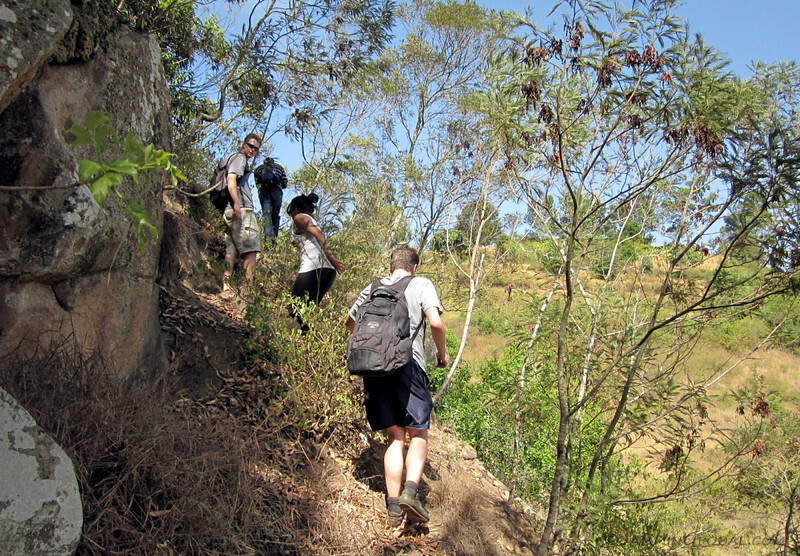 The hike was relatively easy for the most part, except the final steep ascent. Sarah watching her step on the way back down over smooth and slippery rocks. Mica saying hello to this plant that extended a friendly arm. 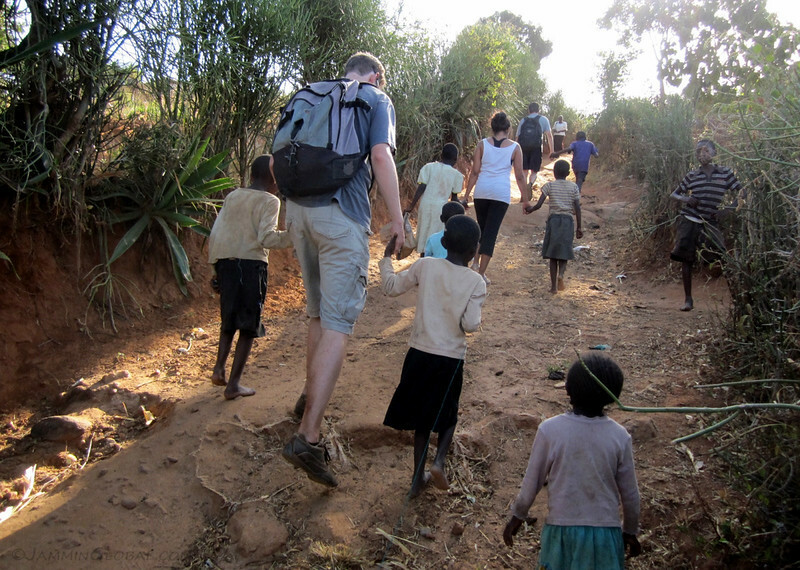 As we neared the main road, kids from the villages ran out and were super excited to see wazungu (foreigners) and they each grabbed a hand to walk with. 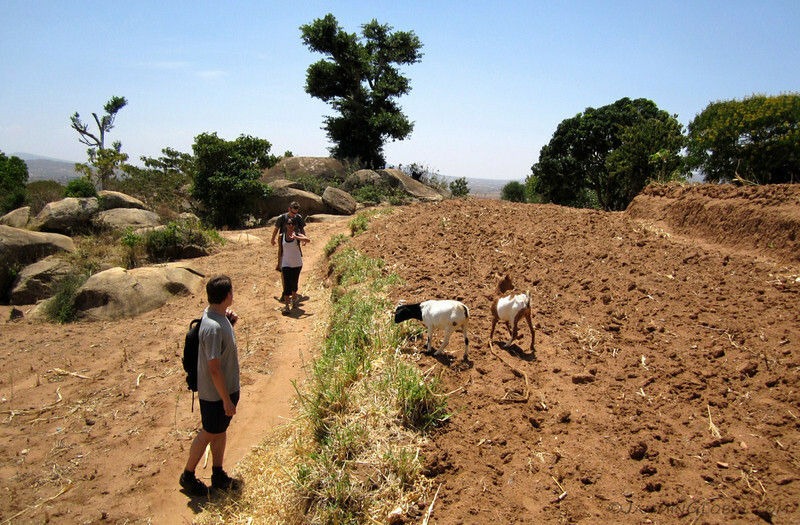 A nice end to the hike up Kiima Kimwe, looming in the background. 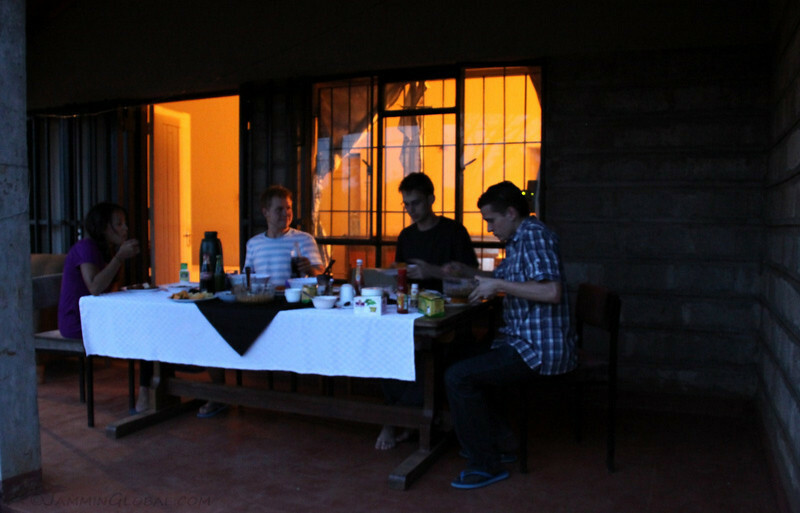 My last night at the guest house and in the field was a feast on the balcony with good friends from Nairobi. 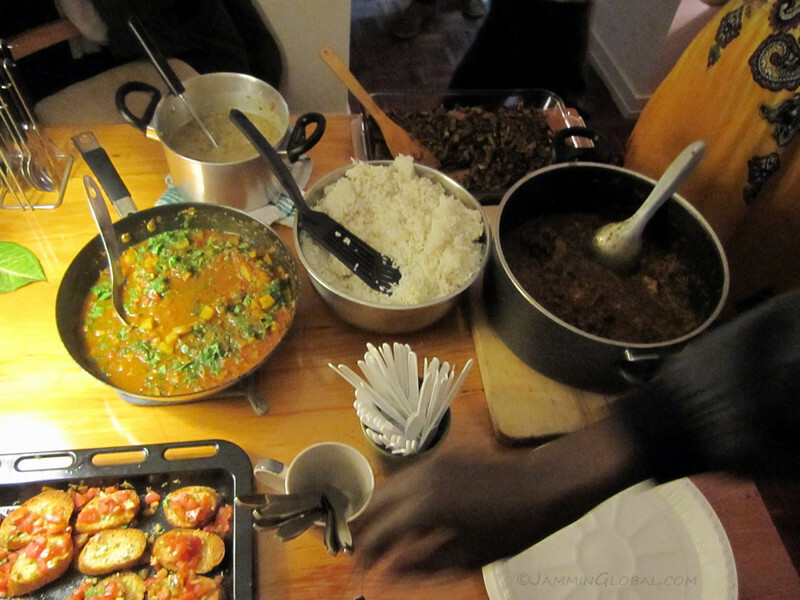 I made it back to Nairobi on my birthday and what better way to celebrate than cooking a chicken curry for friends. Chicken curry, potato curry (thanks, Jeremy), roasted eggplant, dahl, brushchetta and rice. 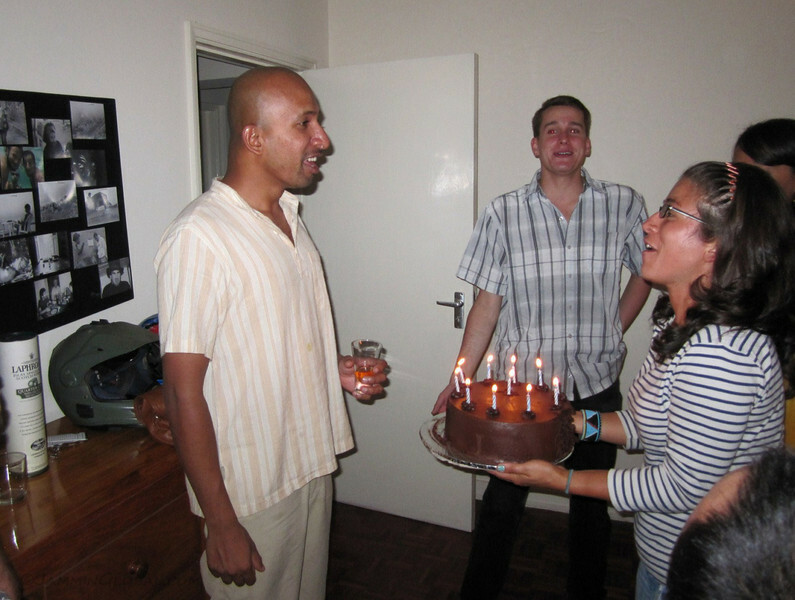 Getting surprised with a birthday cake and it was my favorite, chocolate cake with chocolate icing. A nice moment with great friends. 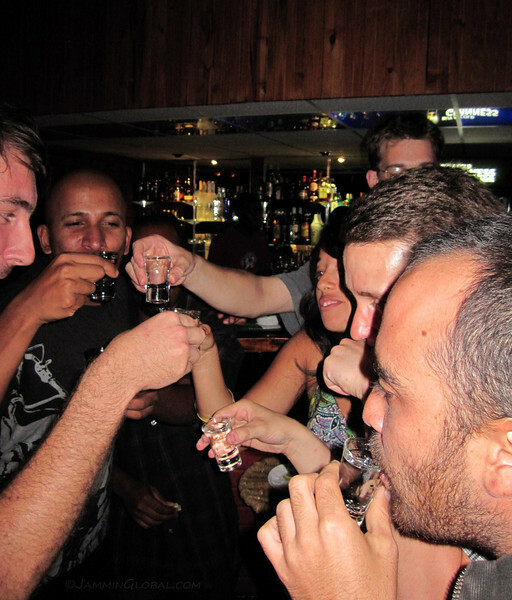 A round of tequila shots at the Tree House club. 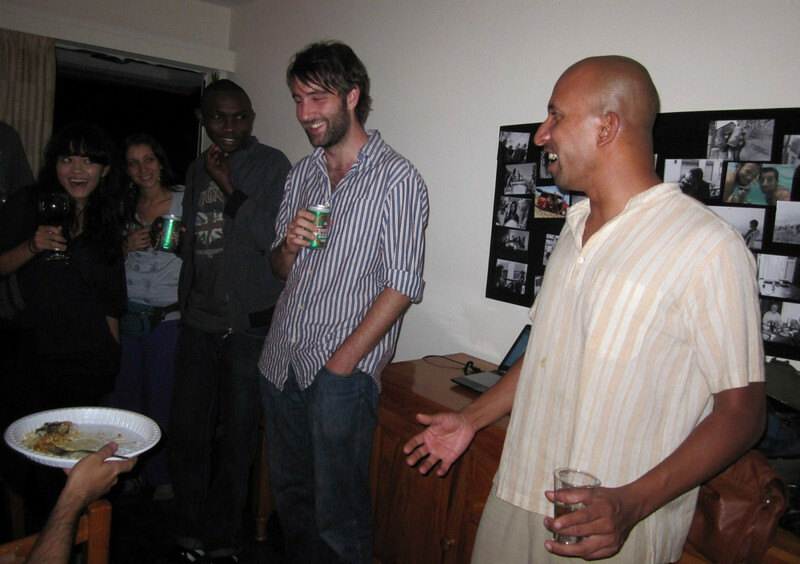 Meeting Danielle in Nairobi. She’s also a bike traveler and rode solo from her home in New Zealand thru southern Asia, the Middle East and down to Kenya on a Suzuki DR350. 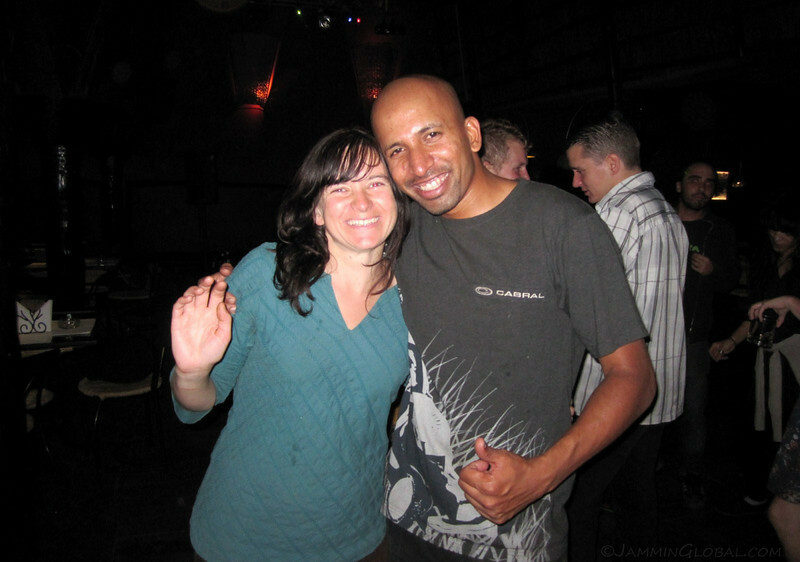 She’s also a part of the Jupiter’s Traveller program and it was fun to exchange travel stories. 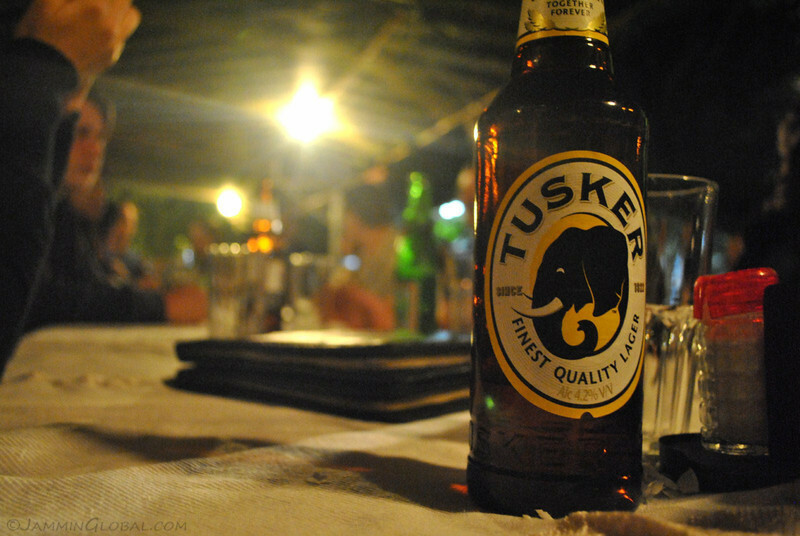 Enjoying Kenya’s Tusker beer over some Ethiopian food at Abyssinia Restaurant. They say Nairobi has the most Ethiopian restaurants outside Ethiopia. Meeting up with Girum Berhane, my Ethiopian housemate from college years at Purdue University. We studied mechanical engineering together and lost communication after graduation. 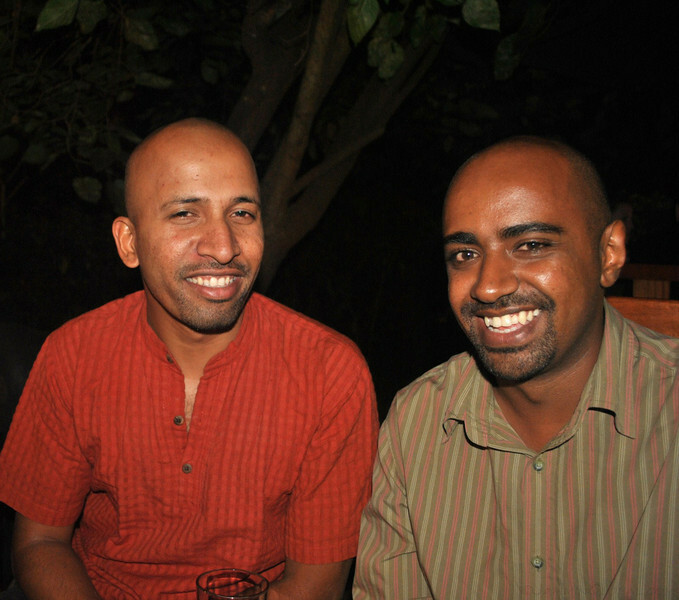 9 years later, he finds me on facebook and sends a message saying that he’s living and working in Nairobi now. It was good to catch up and reminisce about the old days. People obviously grow and adapt to their surroundings as the years go on but I was happy to see that the core doesn’t change. I attended some yoga classes put on by the Africa Yoga Project who use yoga to empower communities. The classes are free and everyone’s encouraged to attend. The atmosphere was fantastic for a session of Power Yoga. The dance studio we were in at the Sarakasi Dome was packed with no space between mats and the instructor told us to communicate to our neighbors with our breath. After class, they provided a subsidized Indian lunch at the nearby Hare Krishna temple. 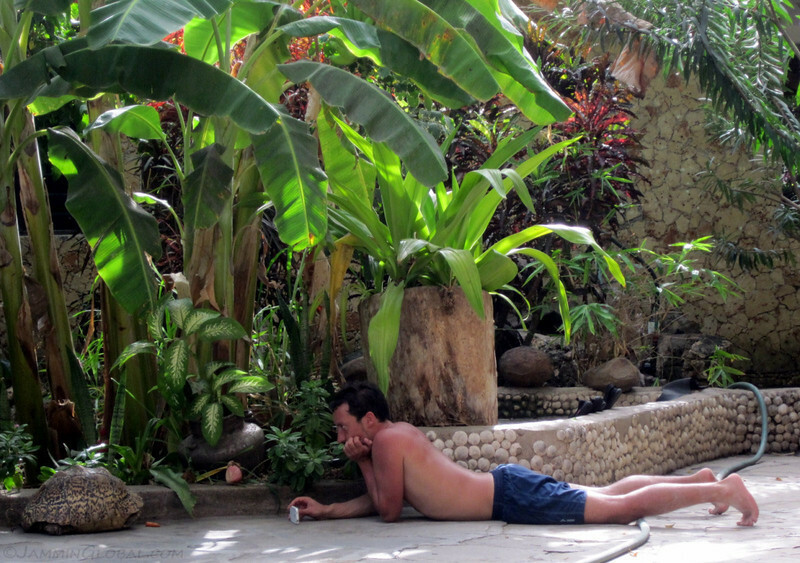 Getting close and friendly with our neighbor yogis. This was an exercise where we used a partner for strength and balance. The program trains volunteers to become yoga instructors and that allows them to then go out and offer private sessions as an income source. 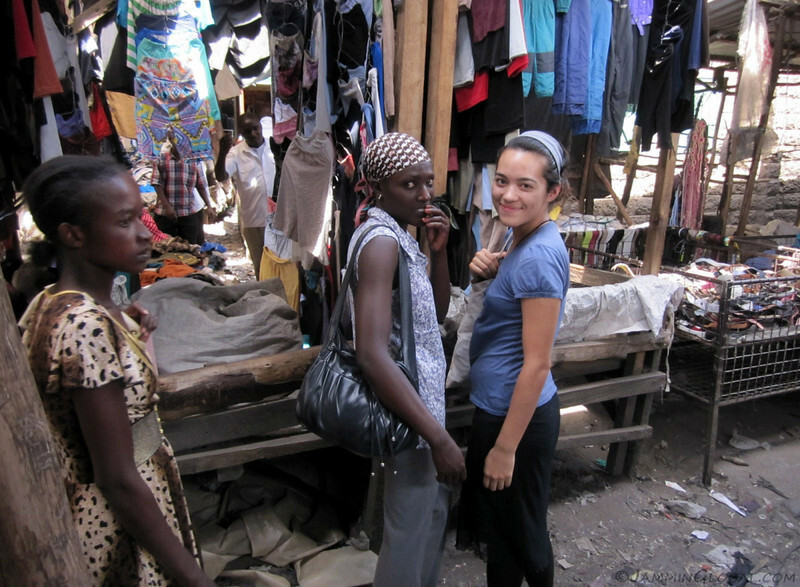 Carrie and I made friends with some of the yoga instructors and they took us shopping at the second-hand clothes market at Gikomba. I bought a nice pair of jeans for $6 for the rest of my time in Nairobi. Most of the clothes come from the UK or the US and I think many of them are donations, which are wrongly resold by the government to these merchants. 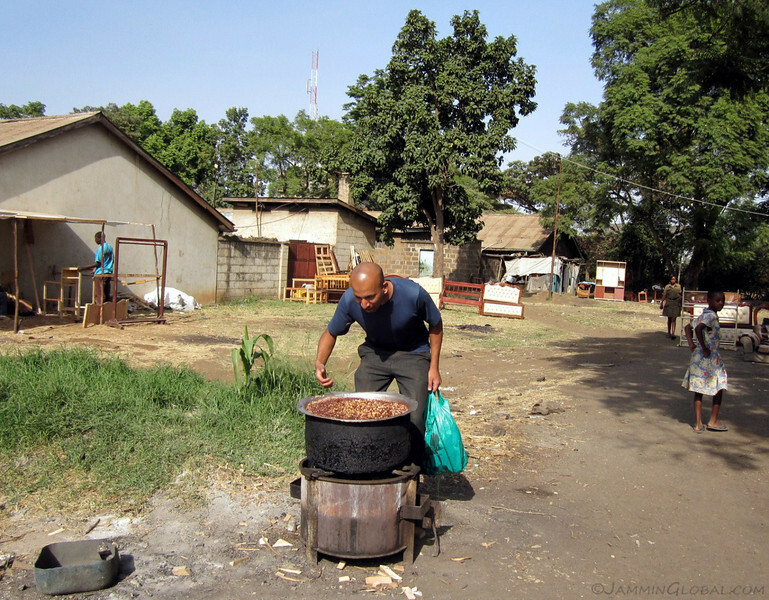 Walking back from Gikomba and taking a whiff of this huge pot of Githeri (beans and chickpeas stew) boiling by the roadside, in anticipation of lunch. 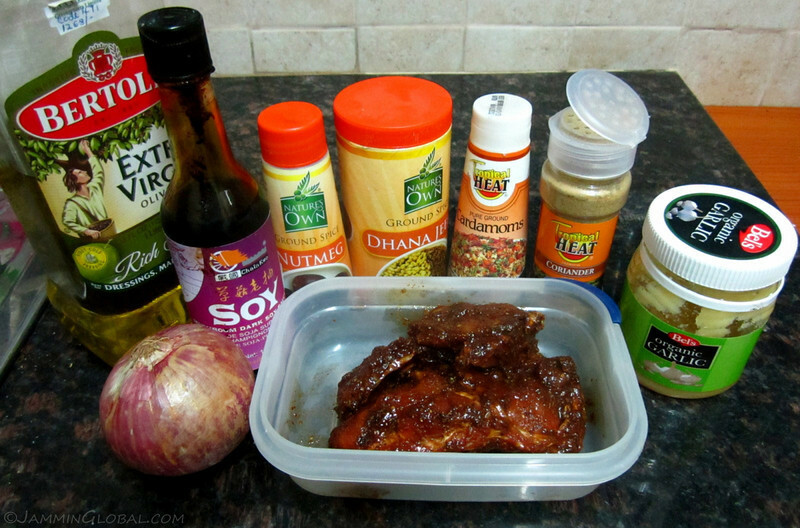 Ingredients that went into a pork chop marinade to be pan-fried with onions and served with couscous. I missed cooking for myself when I was out in the field for two months. 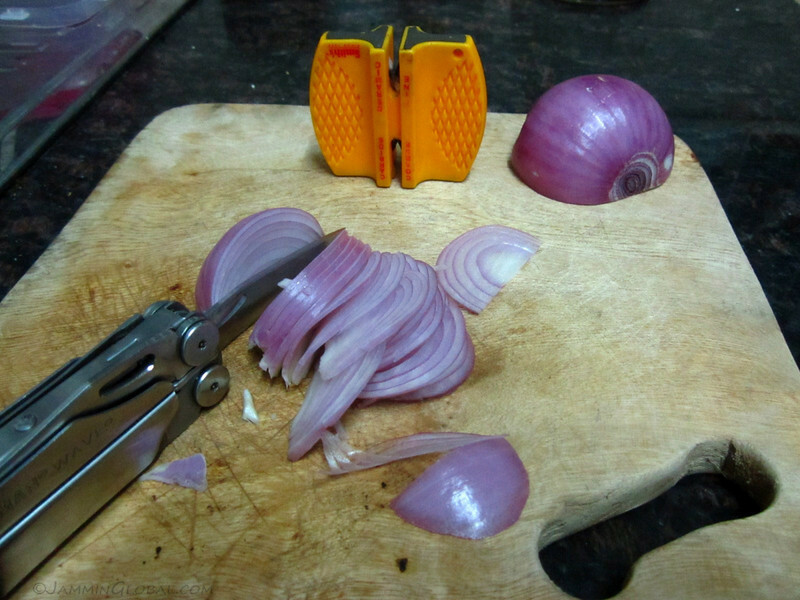 I wanted super thin sliced onions and the knife on my Leatherman Wave was the tool for the job, after a few pulls through my knife sharpener. 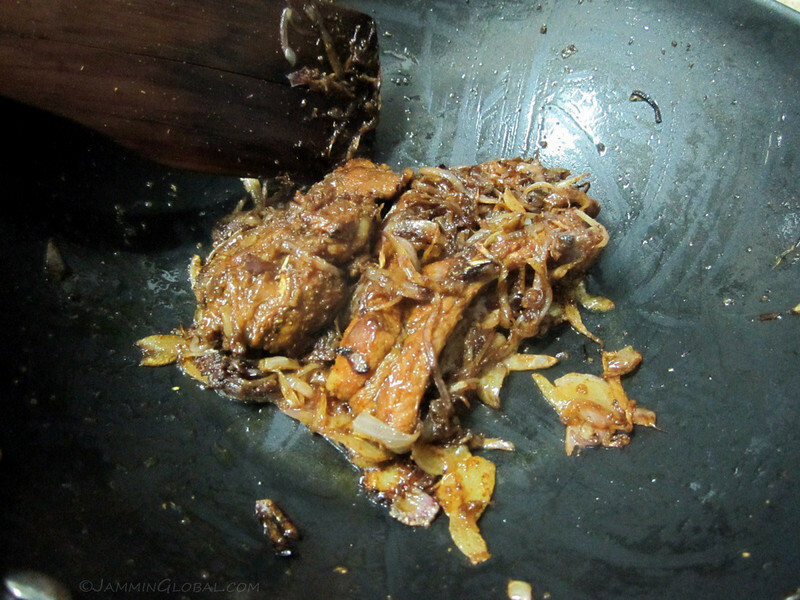 The almost done pork chop with fried onions. 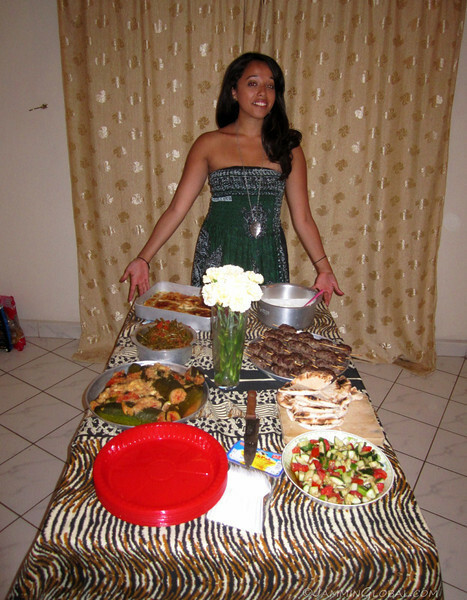 Sarah and all the wonderful Egyptian food that she made for a Food without Borders night. She’s quite the cook. This was a nice moment. Carrie had a full plate and was still eyeing some more items and Davide shows up and asks politely if it was ok if he took one whole kebab. 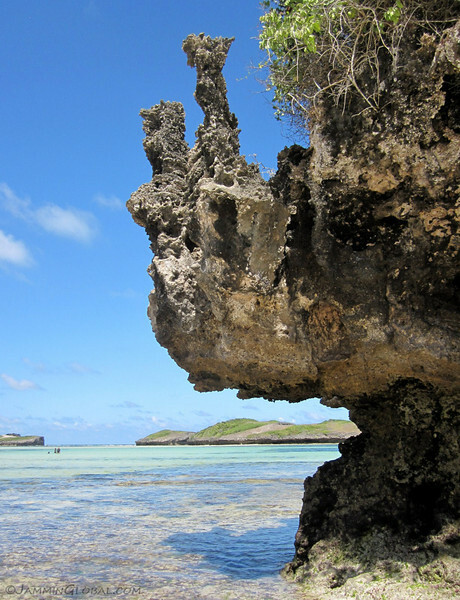 For Easter break, a bunch of us from Nairobi wanted to go down to the coast and Watamu was the chosen place. I’d been there before and was happy to go back again. 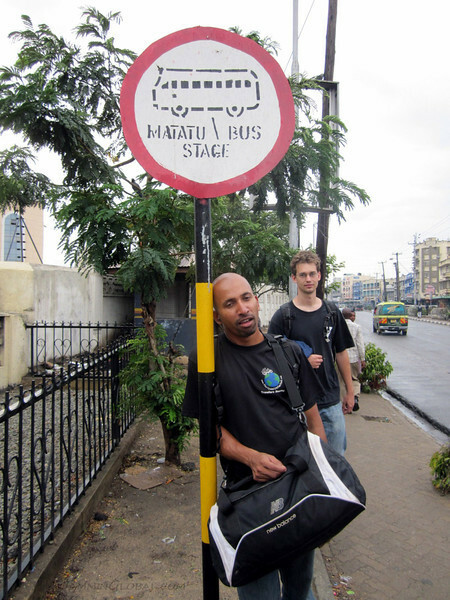 We took a night bus from Nairobi to Mombasa and I stayed up all night sitting next to the driver to see if their reputation of dangerous driving held up. Yup, it definitely did. We almost crashed three times, all due to ill thought-out overtaking moves. 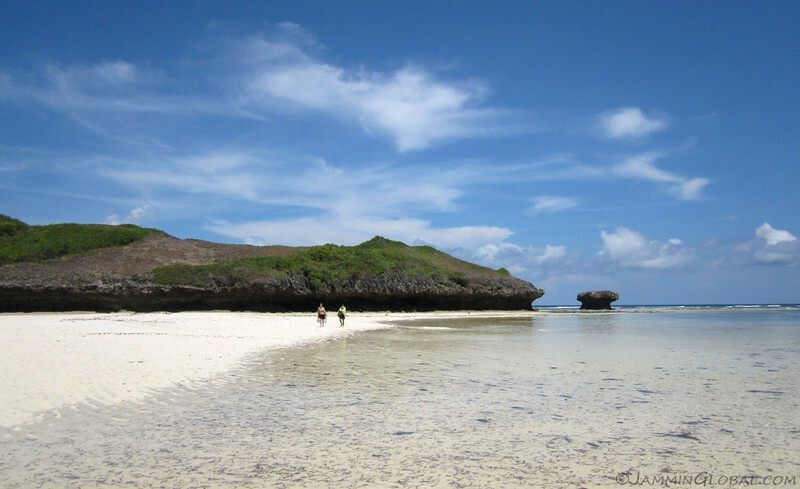 Ahh, the beautiful beaches of Watamu at low tide. 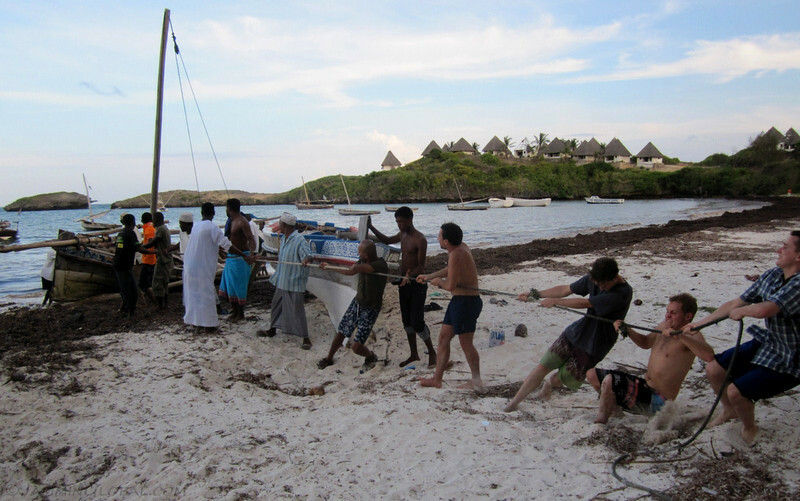 We were walking along the beach and this group of fishermen asked for our help in pulling this boat up on the beach. A funny picture, since we all seem to be pulling so hard for nothing, because the angle of the rope to the boat was too large. We repositioned ourselves in front of the boat and she moved up onto the beach. 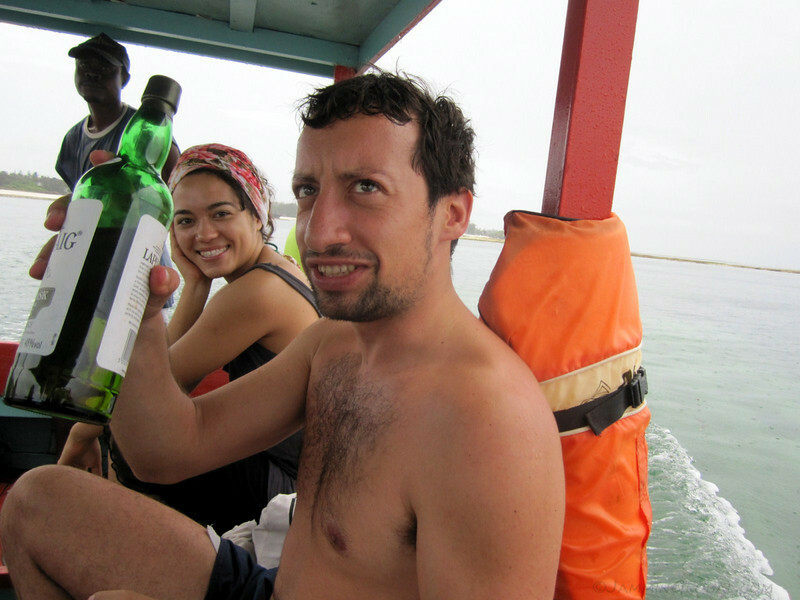 Out for a snorkeling trip and everyone had a sip from our bottle of Laphroaig single-malt whisky. 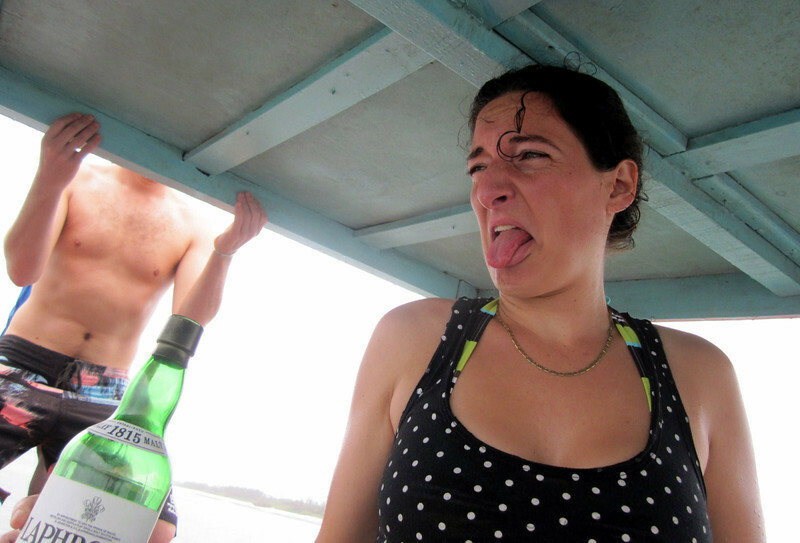 Audrey’s reaction after having strong tasting Laphroaig. I think she prefers her wine. 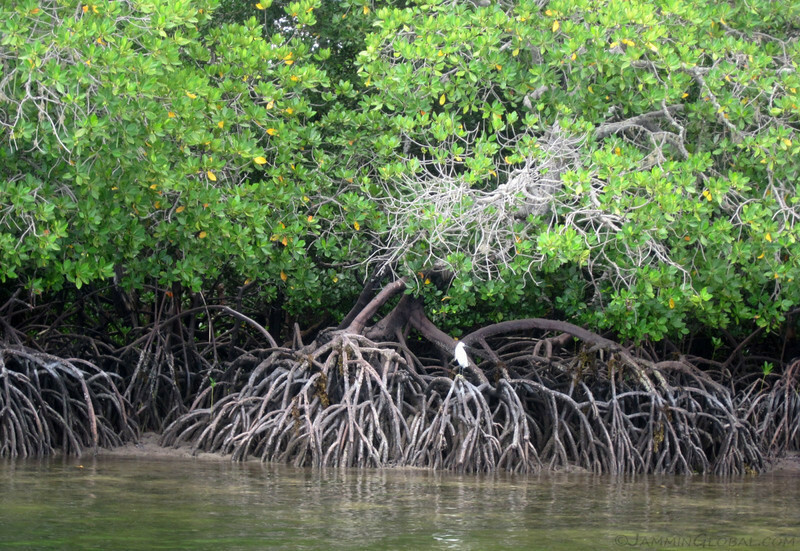 Passing by mangroves with their roots exposed during low tide. 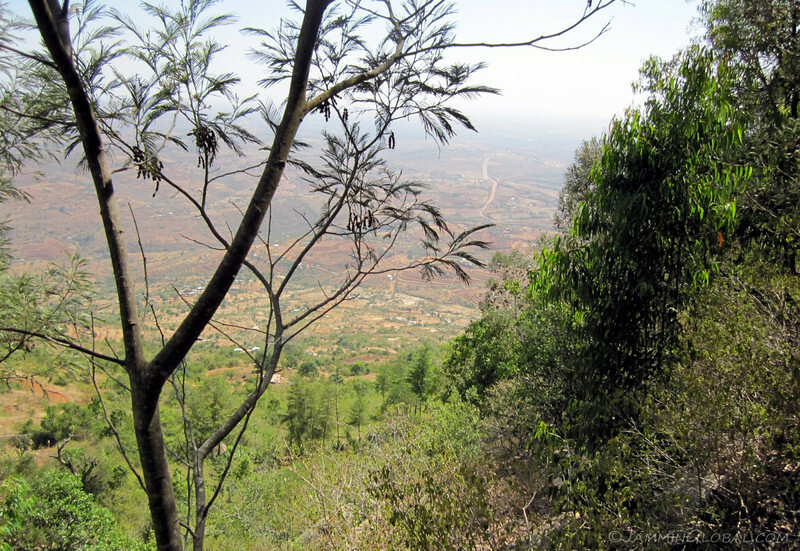 Most of the Kenyan coast is covered in mangroves, which capture and store more carbon than rainforests. Mica’s fabulous sunscreen job. 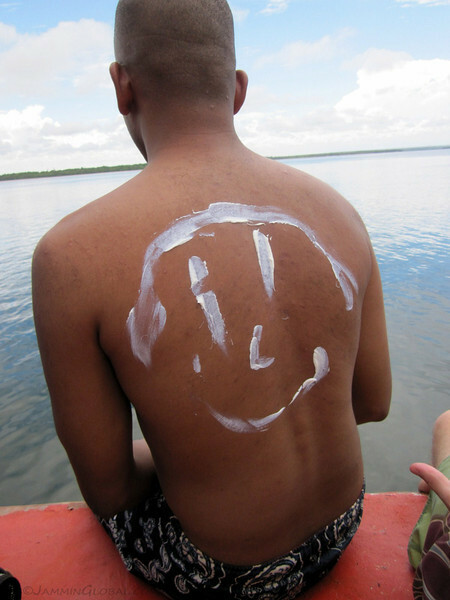 If he left it like that, I would’ve gotten a nice smiley face sunburn. Davide about to throw some water on the unsuspecting Jeremy on the roof of the boat. 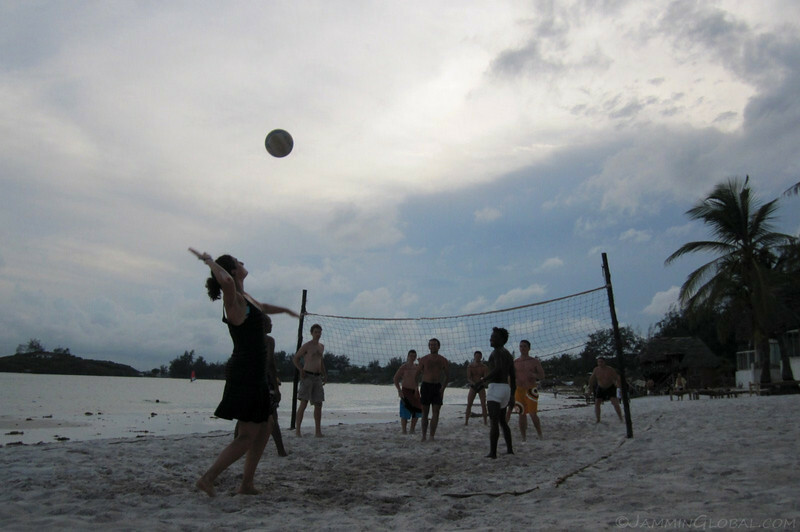 Audrey serving it up during some beach volleyball, with the water just a few feet from the court. They had this pet turtle at the place we were staying at and Davide wanted to film it eating a carrot. He waited like that for a long while and was finally rewarded with an interesting video. 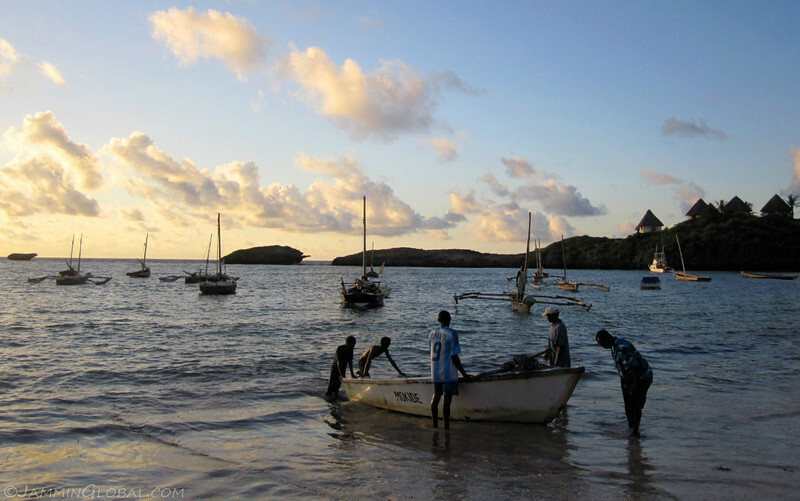 Sunrise in Watamu and fishermen coming back from an early morning trip. 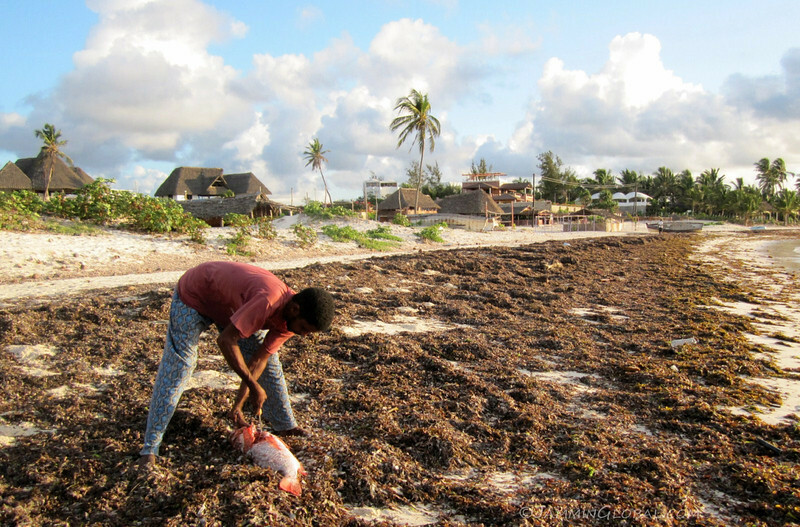 We bought this red snapper for Ksh1,200 ($13) from the fishermen who brought it to land and they cleaned it right there on the beach, which was covered in dried sea weed. 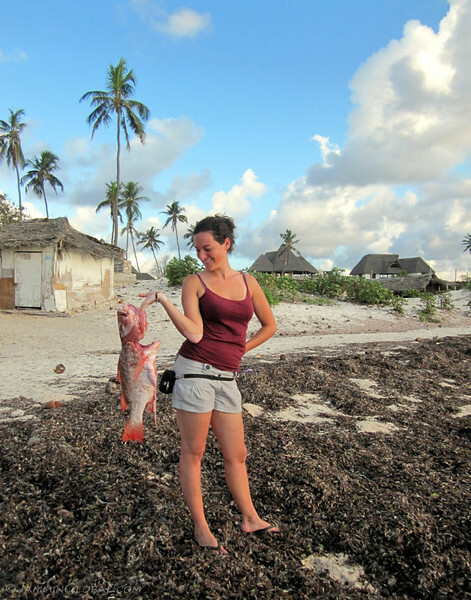 Audrey and the red snapper on the beach at Watamu. 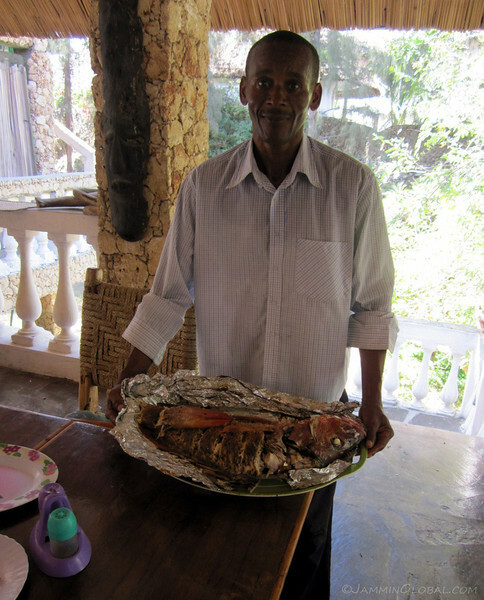 Kahinde, the caretaker at our hotel, prepared the red snapper for Ksh500 and we had a fabulous last lunch at Watamu. 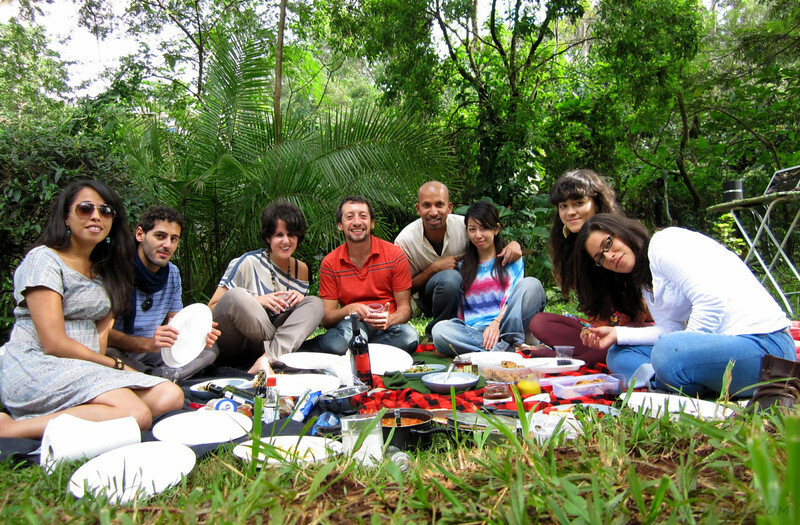 At a picnic at Davide’s house where there’s a huge backyard with lots of trees. Diana spreading some nutella on scones that Carrie made. 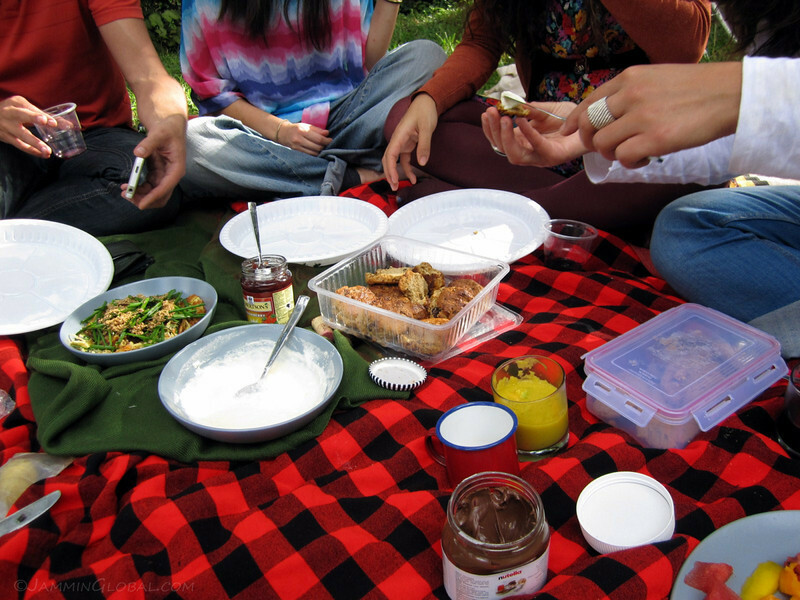 Pretty random food for a picnic. 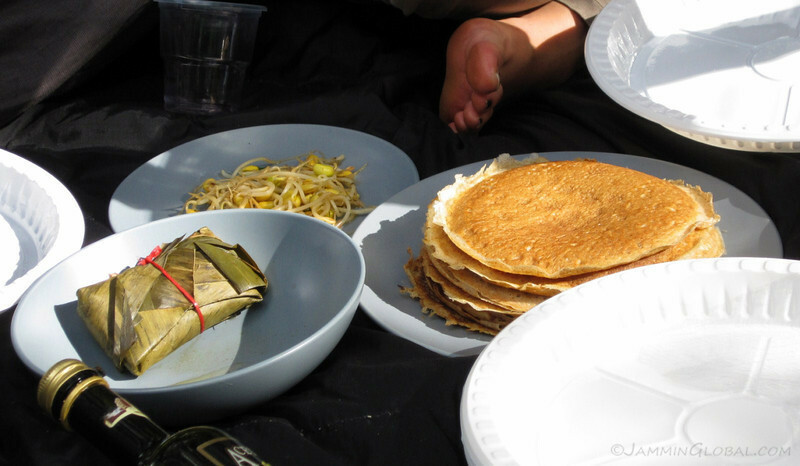 We had crepes, tamales and a bean sprout salad. 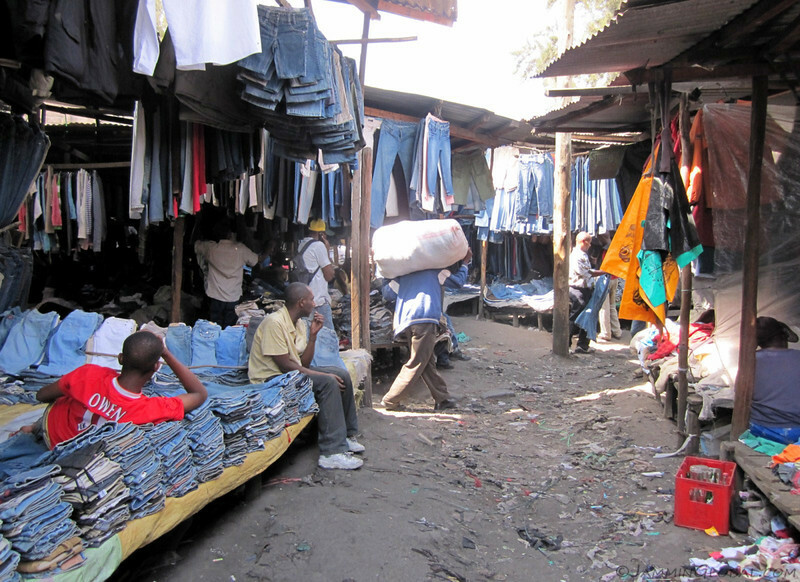 on the whole Second hand donations, it is true that the clothes that are sold in Gikomba and other such markets in the world are mainly donations from UK and the US but they are not misappropriated by the Governments but rather by those who as for the donations! Companies that receive these donations knowingly sell the clothes to merchants (I have worked in such charities and NGO’s in the UK) – and the merchants KNOWINGLY sell the clothes – our donations – to the market stall holders etc – they export and sell on… so it is not a govenment exploiting the people as we so readily like to claim when it comes to African Governments but it is a WILLING DONATION – turned to A PRODUCT SOLD BUY THE CHARITIES – to a WILLING BUYER and finally to the WILLING SELLERS and BUYERS in the third world countries.